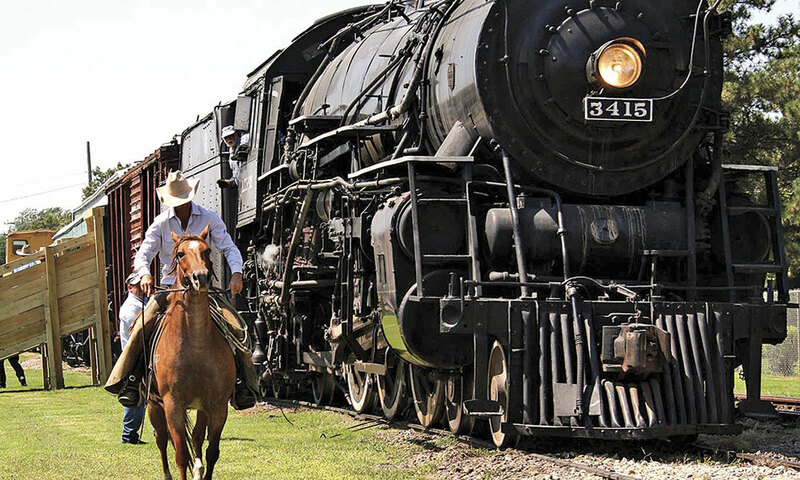 The city of Abilene, Kansas, capped the year-long celebration of the 150th anniversary of the Chisholm Trail with the three-day celebration, Trails, Rails & Tales, over Labor Day Weekend in September 2017. Americans are lucky. When life gets tough, we have hope of finding something better, a land of redemption beyond the next horizon. That’s how we think of the West, as a place to put one brick on top of another and build a new future. In their preservation efforts, the towns listed here demonstrate that same spirit of renewal. We see it in beautifully renovated Victorian mansions and railroad depots, at important battle sites and brand new museums, at restored downtowns and historic ranches. Their work keeps our unique story alive, and creates places that are flat-out fun to visit. It’s all waiting for you, so pull on your boots and go! The Abilene & Smoky Valley Railroad (above), a centerpiece of the annual Trails, Rails & Tales event, runs passenger excursion trains every Saturday and Sunday, May through October, and Wednesday through Sunday, Memorial Day to Labor Day. 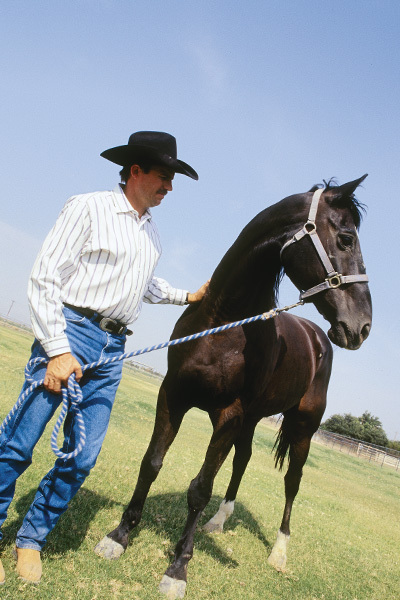 Abilene only needed five years to enter Western Legend. Between 1867 and 1871, Texas cowboys drove longhorn cattle to Abilene on the Chisholm Trail, and after a shave and maybe a new hat, the young men naturally sought amusements, often with six-shooters. Modern Abilene has done a first-rate job of preserving those wild times, especially in its celebration last year of the 150th anniversary of the Chisholm Trail. For that reason, we name Abilene our top Western Town for 2018. 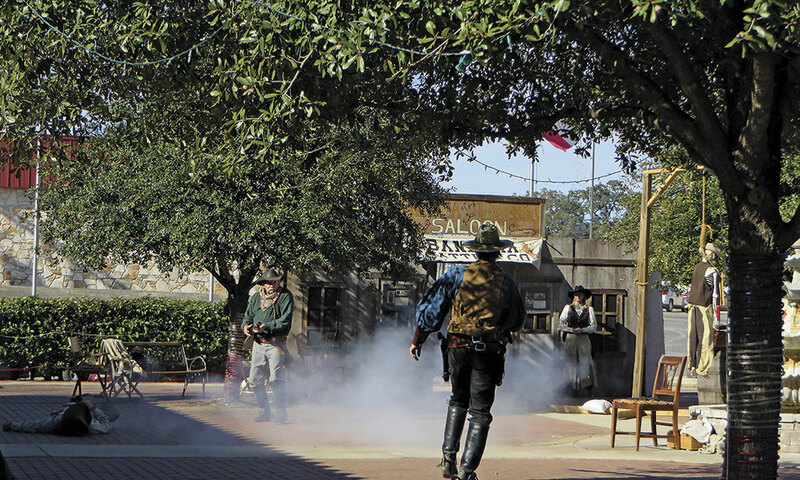 At Old Abilene Town, tourists gather on Main Street to watch summertime gunfight re-enactments, or sip sarsaparilla while watching Can Can dancers at the Alamo Saloon. What a hoot! The re-enactment group is named after Wild Bill Hickok, who served as marshal in the 1870s. Relive 19th-century train travel with a ten-mile excursion ride, hosted by the Abilene & Smoky Valley Railroad. 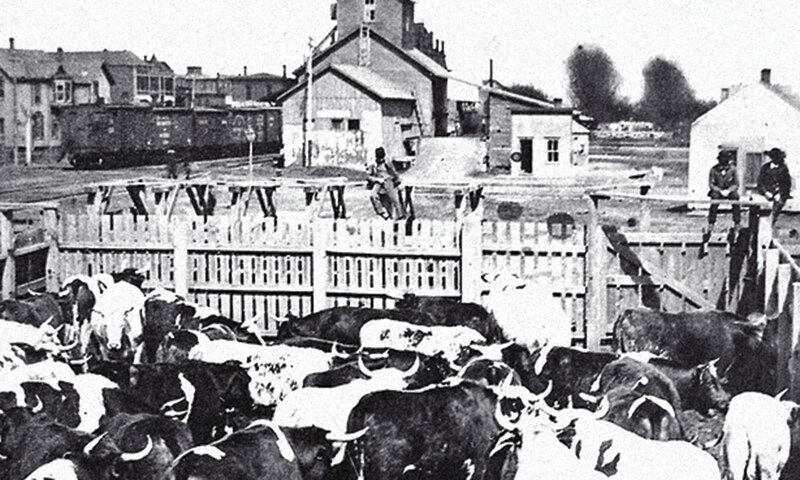 Illinois cattle trader Joseph G. McCoy’s construction of stockyards and Drover’s Cottage adjacent to the railhead in Abilene made the Kansas town the first of the great Chisholm Trail cowtowns. The Wild Bill Hickok Rodeo is a popular attraction, and visitors love touring the 1905 Seelye Mansion, a grand Georgian home with original furniture and Edison light fixtures. Every October, the Dickinson County Heritage Center holds the Chisholm Trail Day Festival. In addition to perusing indoor and outdoor exhibits about Abilene’s frontier past, visitors can ride an original 1901 C.W. Parker carousel. Abilene is home to the Dwight D. Eisenhower Presidential Library, Museum and Boyhood Home. Learn everything about the man who, as leader of Allied forces during World War II, did so much to save Western civilization from the Nazis. 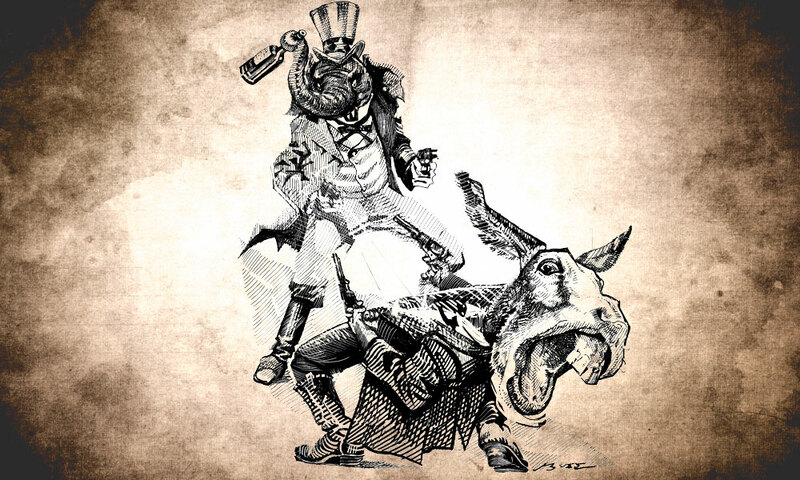 What do our 34th president and Wild Bill have in common? Murals of both adorn exterior walls downtown, and that’s fitting. As a boy, Ike thrilled to frontier stories about Hickok and his predecessor, Tom “Bear River” Smith. Yes, it’s all in Abilene, the first of the great Kansas cowtowns. 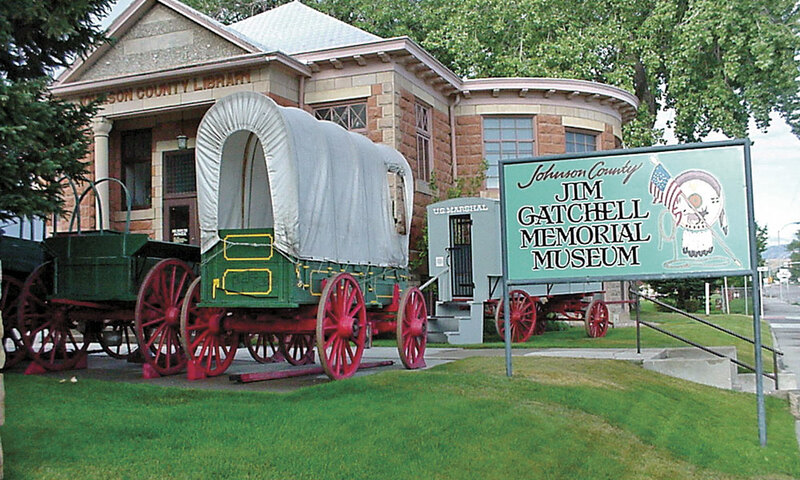 The Johnson County Jim Gatchell Memorial Museum in Buffalo, Wyoming, has one of the West’s finest exhibits of 19th-century frontier wagons, as well as an extensive collection of historical artifacts from the Big Horn region of the state. History is revered in this picturesque town in the foothills of the Big Horn Mountains. More than 600,000 visitors a year attest to that. The Jim Gatchell Memorial Museum, which began as a private collection in 1900, is renowned for telling the story of northeastern Wyoming. Its vast collection includes the spurs and rifles of infamous Indian scout and range detective Tom Horn. Owen Wister, author of the groundbreaking Western novel, The Virginian, spent time at the Occidental Hotel, built in 1880. See rooms furnished with period items and the magnificent backbar in the saloon. 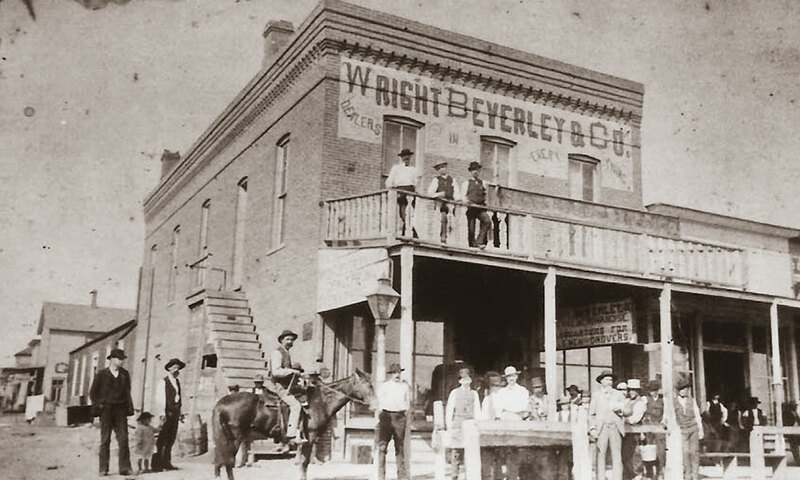 The Historic Occidental Hotel in Buffalo, Wyoming, has been entertaining and hosting patrons in its restaurant, saloon and elegantly decorated rooms since opening its doors for service in 1880. The Fort Phil Kearny State Historic Site tells of the Indian wars, and the TA Ranch is on the National Register of Historic Places. See the 1882 ranch house and the barn where the concluding shootout in the Johnson County Cattle Wars occurred. Downtown has tons of charm and more than a dozen historic buildings, a great place for a stroll. Fans of the TV show, Longmire, have traveled to Buffalo every July for six years to celebrate Longmire Days. The 2017 bash drew 15,000 people. While the future townsite was well-traversed by overland travelers of the Santa Fe Trail, Trinidad, Colorado, was not founded until 1862, when rich seams of coal were discovered nearby and mining became the town’s first major industry. The Baca House, the oldest in town, is a beautifully preserved two-story adobe, part of the Trinidad History Museum. Cattle baron Frank Bloom built the mansard-roofed Bloom Mansion in 1882, and today it anchors El Corazon de Trinidad National Historic District. Many consider the A.R. Mitchell Museum of Western Art among the best anywhere. 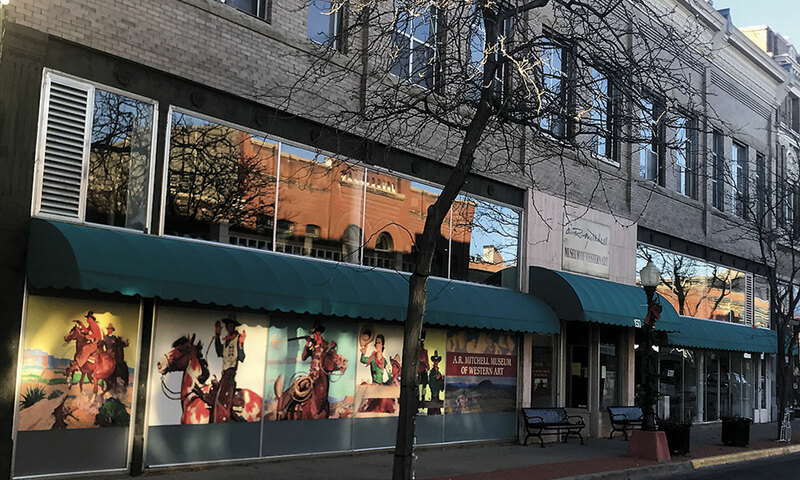 Located on Main Street in a former dry goods store, the museum boasts a large photo collection and hundreds of original paintings of the West. Celebrate the frontier at the Santa Fe Trail Days bash. Don’t miss the bronze of Kit Carson in Kit Carson Park, considered a classic equestrian statue. The exhibitions of Western art and ephemera at the A.R. Mitchell Museum of Western Art in downtown Trinidad is one of the finest in the West. Another famous name: Bat Masterson. He became city marshal in 1882. But he was more interested in preventing Doc Holliday’s extradition to Arizona, a favor for his friend, Wyatt Earp, and playing faro, than in working. We can’t blame dear old Bat. Set along southern Colorado’s Purgatoire River and boasting 300 days of sunshine a year, Trinidad is a beautiful Western town. Founded in June 1872 on the Santa Fe Trail’s crossing of the Arkansas River, Dodge City became a wicked hub for buffalo-hide hunters and cattle drovers when the AT&SF railroad arrived that fall. Wild Texas cowboys driving cattle to Dodge made the town famous in the 1870s and the story continues today at venues like Boot Hill Museum. Early residents, including saloon owner and Dodge City Cowboy Band leader Chalkley “Chalk” Beeson, donated many of the thousands of artifacts and photos in its collection. Beeson’s Long Branch Saloon, which burned in 1885, was reopened in 1947. Visitors love the saloon’s variety show, one of the country’s longest-running seasonal theatrical performances. The museum maintains Boot Hill Cemetery and a replica of old Front Street. The “Guns that Won the West” exhibit draws enthusiasts from all over. Hold onto your hat for Dodge City Days, a ten-day celebration highlighted by cowboys on horseback driving longhorns down Wyatt Earp Boulevard. Atop Boot Hill, see a bronze statue of a cowboy erected in 1927. A walking tour passes 31 large bronze medallions honoring real and fictional characters, including actors from the TV show Gunsmoke. The iconic Western, set in Dodge, ran from 1955 to 1975 and helped solidify the legend. The tour passes life-sized statues of Wyatt Earp and Doc Holliday, two Western icons together again. 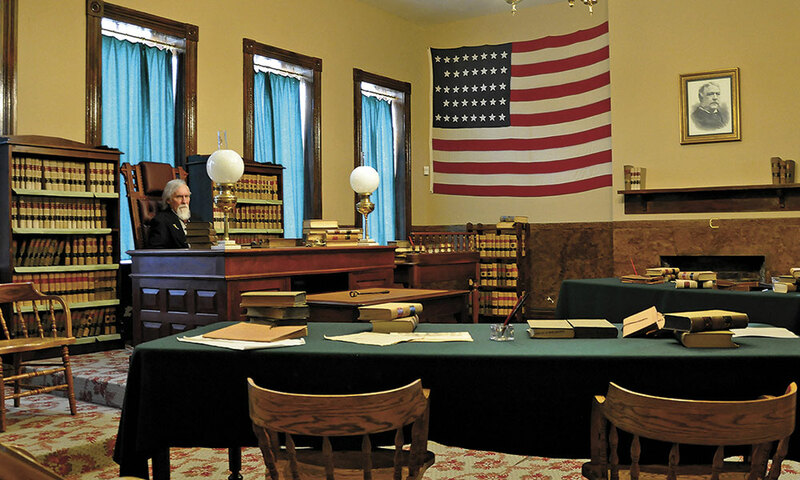 A tour of the fully restored Federal Court for the Western District of Arkansas at the Fort Smith National Historic Site includes a front-row view of Judge Isaac C. Parker’s infamous courtroom. Hollywood loves this town’s outlaw past so much it has become a staple in pictures like True Grit and Hang ’Em High. But truth is better than movies. From Fort Smith’s founding in 1817, the city was a crossroads for settlers bound for the Indian Territory, Texas and the Southwest. 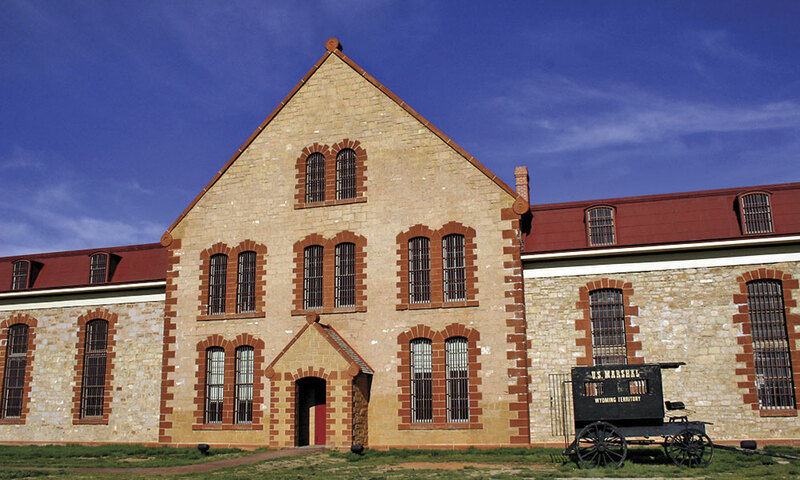 Relive that past at Fort Smith National Historic Site, where hanging Judge Isaac C. Parker ruled. Visitors get chills stepping into the courtroom he used from 1875 to 1889, and inspecting jail cells where doomed defendants prayed their last. Belle Grove Historic District boasts the state’s largest variety of Victorian architecture. The Fort Smith Museum of History has 40,000 artifacts. The 25-foot Bass Reeves Monument honors a black deputy marshal who was born a slave and became a legend. Stay tuned for September 2019, when the long-awaited United States Marshals Museum opens. Meanwhile, visit Oak Cemetery, resting place of more than 100 lawmen who served at Fort Smith and 28 outlaws that Parker ordered hanged. Forget the movies. It doesn’t get more real than Fort Smith, Gateway to the West. The arrival of the Union Pacific Railroad in 1868 made this town on the Laramie River more than a tent city. But years of growth brought frontier characters with their side glances and side arms—Robert Leroy Parker for one. Better known as Butch Cassidy of Wild Bunch fame, he earned a prison bed in 1894 for buying a stolen horse. The Wyoming Territorial Prison State Historic Site tells his story through a painstakingly researched exhibit that included access to Pinkerton files. On the Legends of Laramie Tour, watch a video or slideshow of key events such as the 1868 Bucket of Blood saloon shootout. “We hired actors for these videos and they’re first class,” says Mike Gray of the Laramie Area Visitors’ Center. The American Heritage Museum at the University of Wyoming has Hopalong Cassidy’s saddle. The Laramie Plains Museum is in the 1893 Ivinson Mansion, a majestic Victorian with historic photos. Laramie Jubilee Days started in 1940 and continues in a weeklong celebration of cowboy culture, including a rodeo. Laramie is the authentic West in every way. Remember Jack McCall, who assassinated Wild Bill Hickok in Deadwood in 1876? He was quickly acquitted and fled Dakota Territory to Wyoming. Laramie lawman-extraordinaire N.K. 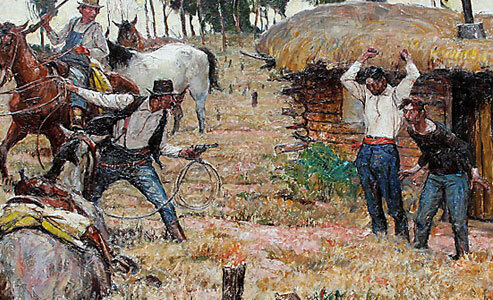 Boswell righted the wrong by arresting the back-shooter and sending him back to Yankton, Dakota Territory for a proper trial—since Deadwood was not a legal town. McCall was hanged. 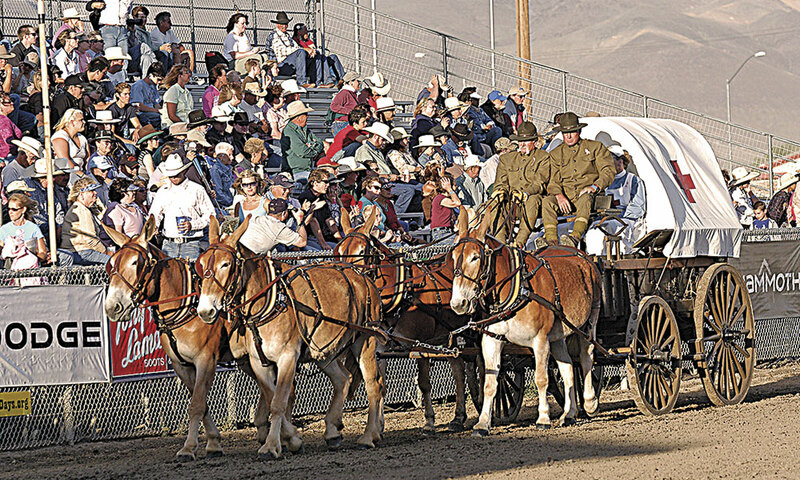 Bishop, California, the self-declared “Mule Capital of the World,” celebrates its Eastern Sierra Nevada mule-packing heritage at Bishop’s Mule Days, a weeklong festival held every May over Memorial Day weekend. Rancher Samuel Bishop settled in California’s Owens Valley in 1861. The town that bears his name, framed by the magnificent Sierra Nevada and White Mountains, is among the most beautiful places in the state, an outdoor lover’s paradise. 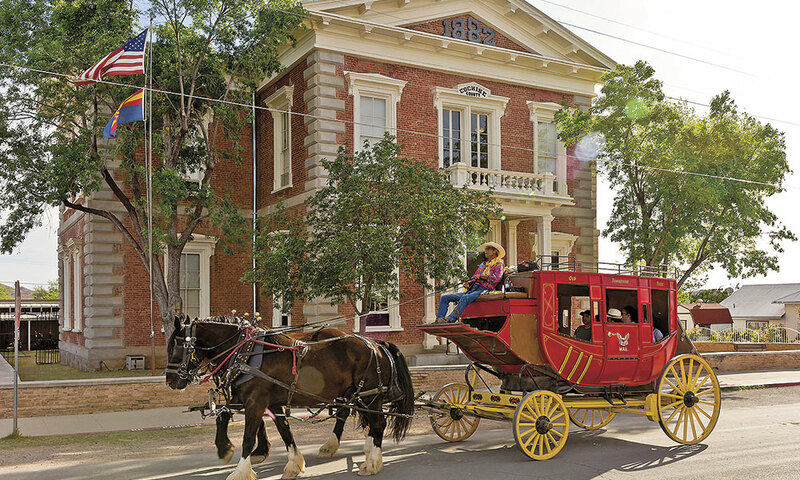 Every Memorial Day, the so-called Mule Capital of the World hosts its Mule Days Celebration to honor the role that pack stock played on the frontier. Amid a party atmosphere of Western music and a parade, the country’s best packers compete for the world championship. Visitors thrill to stand beside a 20-mule team hitched to massive wagons and chat with team members. The Owens Valley Paiute Shoshone Cultural Center tells of early tribal life through art and artifacts, and hosts a pow wow showcasing native crafts and culture. The Eastern California Museum holds America’s largest collection of Paiute-Shoshone basketry. The Laws Historic Site, a re-creation of a pioneer town, includes the 1883 train depot, which appeared in the Western Nevada Smith, with Steve McQueen. See an authentic miner’s shack and an operating millsite used to separate gold from rock. The “history on walls” project features 15 downtown murals, a beautiful outdoor art gallery. At Mahogany Smoked Meats, try their famous elk, buffalo and wild boar jerky. Mark Bishop on your calendar. It’s a blast! From July 9 through 15, 2018, the 88th Annual Sheridan WYO Rodeo will celebrate the Western heritage of the Wyoming city with four days of rodeo performances, the Sheridan WYO Rodeo Parade and the First Peoples Pow Wow and Dance held at the Sheridan Inn. Civil War vet John Loucks sketched out Sheridan’s townsite under the Big Horn Mountains. An 1894 city directory described Goose Creek Valley as the most beautiful and fertile in the world, and Sheridan as the “most healthy, moral, enterprising” city in the northwest. The modern cowboys who gather every year for the Sheridan Wyo Rodeo would surely agree. The weeklong party attracts the best athletes and includes the First People’s Pow Wow, featuring American Indian dancers. The pow wow occurs on the lawn of the Sheridan Inn, which opened in 1893, reportedly with Buffalo Bill Cody leading a march to the inn’s inaugural dance. The décor in each room honors famous characters from Cody’s life. The Sheridan County Museum displays historic dioramas. The Brinton Museum has a terrific collection of Western and American Indian art, as well as brass arm cuffs worn by Sitting Bull’s wife. Visit the museum behind King’s Saddlery to see gorgeous saddles and other leatherwork. With the neon cowboy and bucking bronc outside, the Mint Bar is a revered cowboy hangout. Don’t miss Kendrick Mansion, a castle on a hill built by a cattle baron, and Eatons’ Ranch, among the country’s oldest dude ranches, which opened in 1904. Sheridan is such a treat it earned a visit from Queen Elizabeth II in 1984. Tombstone hosts annual events in its historic district, including Helldorado Days, held every October since 1929 in honor of the 1879 founding of the infamous mining town. Founded in 1879, the town on Goose Flats got its name from a warning to prospector Ed Schieffelin that the only thing he’d find in Apache country was his tombstone. Instead, Schieffelin got rich on fabulous silver deposits. 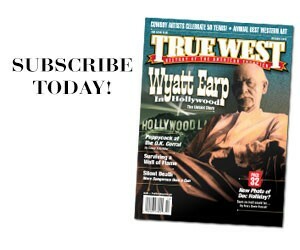 Wyatt Earp keeps the southeast Arizona town popular today. The OK Corral site features daily re-enactments of the fabled shootout between the Earp boys, with Doc Holliday assisting, and the cowboys. Tour the Tombstone Epitaph office and read coverage of the bloodletting. The Tombstone Courthouse State Historic Park, in the shape of a Roman cross, is a two-story Victorian built in 1882. See an invitation to a hanging and a replica gallows. The town hosts numerous annual events, featuring music and mock shootouts. Helldorado Days began in 1929, the 50th anniversary of Tombstone’s founding. But Tombstone wasn’t all chaos and coffins. So, in a different way, did his good friend, Wyatt Earp. The Spanish word for flag is bandera, and folklore says the town got its name when a cowboy planted a flag atop a nearby hill. True or not, it works for this settlement of 900 strong. A one-time gathering spot for longhorns being driven north on the Western Trail, the so-called Cowboy Capital of the World boasts several historic guest ranches. Explore the picturesque countryside on horseback at Dixie Dude Ranch, in business 78 years. 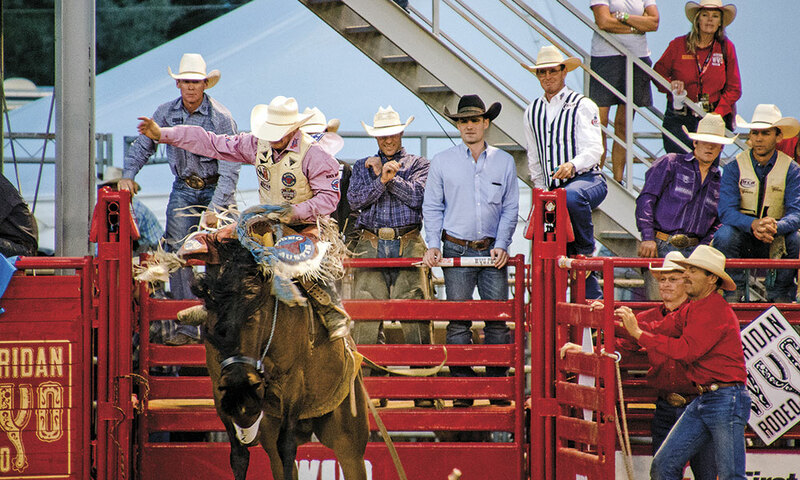 The National Day of the American Cowboy provides rodeo action on Memorial Day weekend. 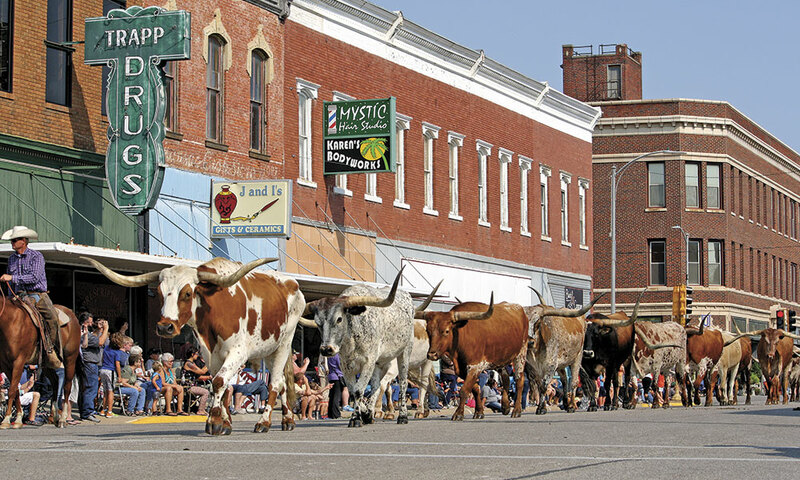 Over Labor Day, the town hosts Experience Bandera, highlighted by a longhorn cattle drive down Main Street. The Frontier Times Museum displays thousands of Old West artifacts, and the Bandera General Store has wood floors, a tin tile ceiling and a working 1950s soda fountain. Every Saturday from March through December, visitors enjoy Cowboys on Main, with strolling singers, trick ropers and historic re-enactments by Bandera Cattle Company. Shop year round at the Western Trail & Antique Market for a historic collectible. Shake your britches on the dance floor at the 11th St. Cowboy Bar or Arkey Blue’s Silver Dollar, a colorful honky-tonk where Hank Williams Jr. once performed. To get a feel for the town, go on YouTube.com and listen to Texas Rebellion sing “Ghost of Bandera,” about a lost love. The song is as beautiful as the Texas Hill Country. With 2.5 million annual visitors, this Panhandle town earns its slogan, For the West of Your Life. The Kwahadi Museum of the American Indian and the Panhandle-Plains Historical Museum, in nearby Canyon, Texas, are first-class. Enjoy the Will Rogers Range Riders Rodeo, a summer classic. Artifacts at the Western Heritage Center include a painted hide depicting the Eastern Shoshone Sun Dance. At Yellowstone County Museum, see an exhibit on the Corps of Discovery, which brought Meriweather Lewis and William Clark through Yellowstone River Valley. 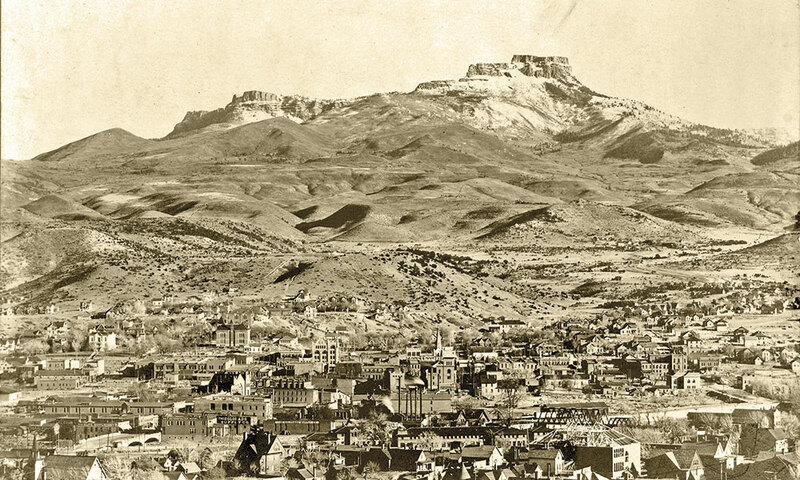 Learn about the Pikes Peak region at Colorado Springs Pioneer Museum. See murals by artist Eric Bransby depicting life from early human occupation to construction of the Air Force Academy. The museum has hundreds of items from the Ute, Cheyenne and Arapaho cultures. In a town of fewer than 500, the historic district boasts 15 significant buildings. 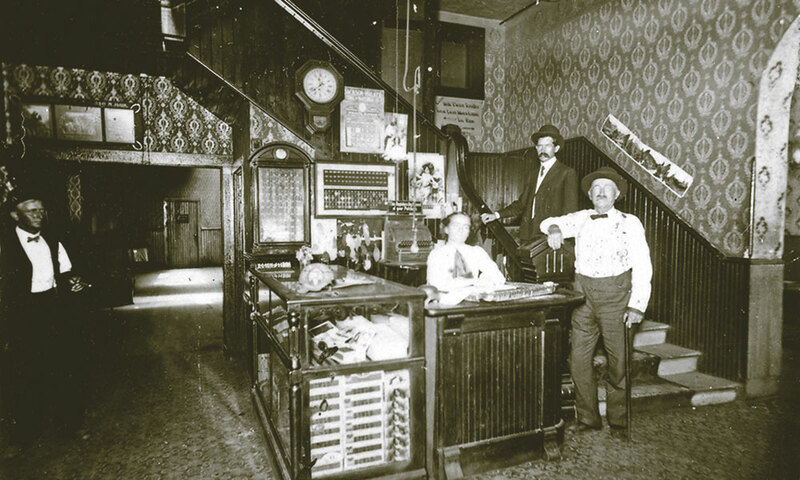 The county still conducts business in the Miner’s Exchange, a one-time saloon built in 1865. Miners often paid for drinks with gold dust. The Lincoln State Monument encompasses 17 buildings, including the Lincoln County Courthouse Museum. People come from around the world to learn about Billy the Kid and the Lincoln County War. The Tunstall Store is preserved to its 19th-century look. In April 1860, Pony Express riders departed St. Joseph for the first time carrying mail in saddlebags. Visit the Pony Express National Museum. Twenty-two years later, Bob Ford killed Jesse James at his home in St. Joseph, now a museum. Yreka’s Annual Gold Rush Days every June celebrate the discovery of gold in 1851 and the subsequent frontier rush and founding of one of California’s northernmost Wild West burgs. Stop at the chamber of commerce for a self-guided historic homes tour brochure and don’t miss the gold rush exhibits at the 1855 Franco American Hotel. Celebrate cool November weather during Wild West Days, a three-day party that draws thousands of visitors to the offbeat desert town. Welsh and Cornish miners in 1878. In Old Town Dayton, walk board sidewalks past homes and shops housed in historic buildings. Pike Street was on the Overland Trail. The entire town is a National Historic Landmark. Follow Wild Bill Hickok to his death, supposedly while holding aces and eights. At the California Trail Interpretive Center, walk through a traditional Shoshone summer camp featuring shade houses made of willow and sagebrush. Take a ride into the redwood forests on the Skunk Train. The California Western Railroad first laid the tracks in 1885. At the State Association of Texas Pioneers Museum downtown, see artifacts used by Texas pioneers and a handcrafted miniature town. Follow the legend at Billy the Kid Museum or attend the annual Billy the Kid Rides Again Open Car Show in April. After watching a mock shootout at the historic depot, take a 65-mile trip on the Grand Canyon Railway to an awesome natural wonder. Wall Drug of South Dakota A magnificent Western art gallery, where you’d least expect it.